According to Microsoft: CRM solutions streamline processes and increase profitability in your sales, marketing, and service divisions. 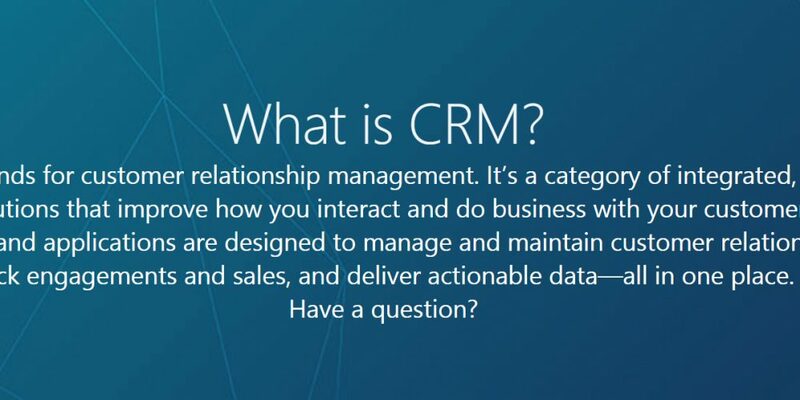 What does a CRM solution do? CRM solutions streamline processes and increase profitability in your sales, marketing, and service divisions. A strong CRM solution is a multifaceted platform where everything crucial to developing, improving, and retaining your customer relationships is stored. Without the support of an integrated CRM solution, you may miss growth opportunities and lose revenue because you’re not maximizing your business relationships. Your customers are the bedrock of your business. Your venture’s success is in large part determined by your ability to reach, interface with, promote to, satisfy, and expand your client base. Given that we live in a digital age, one of the best ways to do so is with software. At Excel Consultant, we’ve assembled a team of Microsoft authorities to help individuals and businesses leverage these popular programs to their advantage. One of the ways we do so is by designing Customer Relationship Management systems, or CRMs. These sophisticated multi-functional applications can help you streamline your marketing, promotion, sales, and customer support, as well as helping you find new business opportunities and communicate better with partner businesses. Read on to learn more about CRMs and how we can help you devise the right one for your needs. When we build a custom Microsoft based CRM we use Microsoft VBA to make it fully dynamic. Constructing custom CRMs with Microsoft VBA allows you to fully automate and integrate your CRM so that it does exactly what you need. Much better than a bloated off the shelf and expensive CRM that does not do everything you would like. Houses current and prospective customer information so you can easily reach clients. Maps out the internal network of contacts and relationships between your employees and clients to help you determine how best to reach prospects. Helps you interpret key demographic and other types of data about your customers so you can refine your targeting strategy and create even better promotional campaigns. Provides for the sales functions of your business, making it simple for customers to find and purchase your products. Provides a platform with which you can address customer support issues, questions, and complaints in an efficient and effective manner (and using stored information about said customers to better serve them). Collates data to automatically point out potentially lucrative business opportunities, partnerships, or clients you might not have thought of. Creates interfaces, communication channels, and other systems to help you stay in touch with your vendors, colleagues, and business partners, particularly as this pertains to delivering your product or service to customers. Integrates with other business management, communication, and tracking software to further enhance its purposes. Many modern CRMs also pull vital information from social media to help you get to know and categorize your customers better. Many businesses simply purchase their CRM software at the electronics store without a second thought, but this may not be ideal. Every business is unique, especially when it comes to their client base and customer relationships, so using a cookie cutter application designed for general use could be frustrating and ultimately less than functional. Chances are, a store bought CRM won’t have certain features your company and customers need. To add insult to injury, pre-designed systems often do more than your company will ever need. You could end up using only about 15 percent of the actual software while you pay for advanced attributes you’ll never use and struggle to make the system work for you. For example, if you needed a vehicle to travel and seat four people, neither a bus nor a motorcycle would do. You could hypothetically use a motorcycle to transport four or a prefabricated CRM to run your business, but both endeavors would take much more work than necessary, providing a non-optimal solution. In contrast, custom CRMs are coded around your preferences and designed to suit your exact needs. These personalized programs tend to be more expensive, but they can save you time, hassle, and even money in the long term by allowing your company to expand faster and keeping you employees from running into repetitive software issues. At Excel Consultant, we’re quite familiar with custom CRMs. Our programmers have coded dozens of them for clients. In addition, we practice what we preach—oone of our proudest CRM accomplishments was creating our very own system to help us reach, manage, and grow our client base. Our very own Helen Feddema coded our internal CRM. An Ivy League graduate and one of the earliest adopters of Microsoft technology, she knows programs like Access, Excel, and Outlook down to their tiniest details (and since their initial versions). When we needed to upgrade our CRM, she got to work straightaway. Having written numerous books on Access, she used this program to develop a comprehensive database completely custom to our business. It would not be possible to purchase this particular CRM (or any one like it) off the shelf. We also consolidated our CRM so it would be interoperable with Outlook, Excel, and Quickbooks. Our CRM not only connects us with customers—it allows for project management with microscopic detail. For instance, if we asked a client for a testimonial on LinkedIn, we would record the date asked, and his or her response. If we received a testimonial as a result of this interaction, it would be inserted directly into the database. This simple but elegant functionality allows us to avoid the embarrassment and wasted time of asking a client for a review more than once or after he or she has already posted one. When it comes to your CRM, with Excel Consultant, the sky is the limit. Over the decades of our team’s programming experience, we have built more extensive CRMs in Access and smaller versions in Excel. Each of these was completely customized according to the needs of the clients. We do not use replicas or models to churn out CRMs—our software specialists listen to our clients’ concerns, study their workflow, consider their customers, and create elegant systems that work. Since different clients want to track disparate attributes, enter data in a variety of ways, and carefully control which reports they pull out of the system, we create a wide range of CRMs. No two are alike—each is as distinctive as the client and customer base they serve. 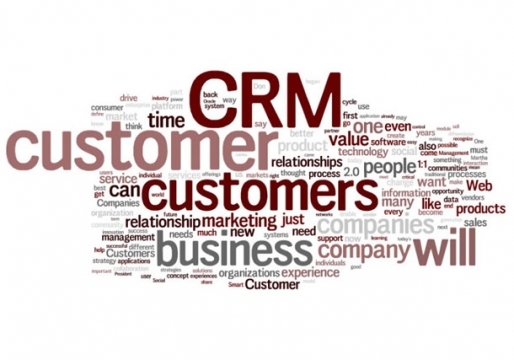 Having a fully functional, personalized CRM can help your business expand tremendously. If you don’t have a CRM or are using an off the shelf version, you may not even realize the growth potential you’re missing. To learn more about CRMs or find out how we can help you with yours, contact Excel Consultant today.